Platform9 is the only hybrid SaaS cloud platform that deploys instantly and unifies your choice of clouds with no vendor lock-in. 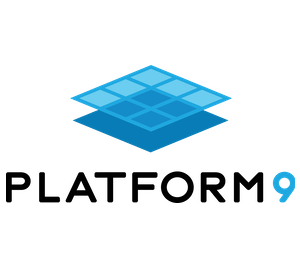 TL;DR: Immediately deploy VMs, containers and serverless functions on any infrastructure combination including pre-integrations with Amazon AWS, Microsoft Azure and Google Cloud Platform. On- and off- premise Dell VMware and bare metal can rapidly be incorporated to blend private and public clouds. Unique Platform9 technology unifies otherwise disparate management into a single pane of glass with 100% open source Openstack APIs against 99.9% uptime guaranteed SLAs. Intersect can accelerate and support your self-serve hybrid cloud mission, today. Please get in touch to find out more or arrange a demonstration. Intersect has been helping researchers adapt, adopt, and advantage technology from supercomputers to Raspberry Pis for over a decade. We’ve been operating large scale Openstack cloud computing infrastructure including underpinning the Australian Research Data Commons national Openstack cloud in NSW since 2014. Production scale demands increasingly test the limits of internal infrastructure. Widening dissonance between CIO desired-state self service workload provisioning and operational current-state limitations. One size of cloud does not fit all, yet deploying multiple clouds reverses productivity gains originally produced by cloudsourcing. Our experience is that Openstack is the most strategic investment for a future that offers choice and self-determination for forward thinking organisations, and we knew there had to be a better answer than betting the farm on a single cloud option. 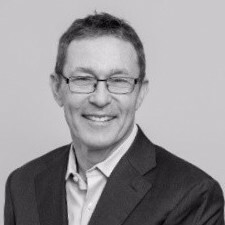 In 2015 that answer came into existence with the foundation of Platform9 by a team of passionately committed ex-VMware executives with over 50 patents; in 2018 Intersect began working together with Platform9; and in 2019 we announced exclusive partnership in Australia and New Zealand. Platform9 allows customers to easily deploy, control and scale self-serve cloud infrastructure created by a fully integrated and managed Openstack (virtual infrastructure), Kubernetes (containers) and Fission.io (serverless functions) offering with commercial operational SLAs and availability. Today Platform9 serves over 700 large scale customers across an array of industries. Customers like Cadence, Autodesk, Veritas, Nanometrics, EBSCO, Bitly, LogMeIn, and Aruba see upwards of 300 percent improvement in IT efficiency, 33 percent faster time to market, and 50-80 percent improvement in data center utilization and cost reduction. The company is headquartered in California, and is backed by Redpoint Ventures, Menlo Ventures, Canvas Ventures, and HPE. 99.9% uptime SLAs and more inclusive workload coverage from cloud technology. Cloud vendor leverage, arbitrage and agnosticism to de-risk cloud adoption. Technical simplicity, cost reduction and future flexibility in cloud provisioning and deployment. Choice of on-premises capex as well as cloud opex without creating technical silos. Unified consumer self-serve experience with a single devops orchestration architecture. The core pillars of IT Infrastructure (Compute, Storage, Networking and Security) have over the last five years increasingly shifted from specialised to commoditised assets. Much of this commodity is now cloud based rather than operating from traditional private data centers. As a result, the majority of IT departments globally are now active in the transition to cloud-based delivery structures. With this it is important to note that hybrid (using both internal and external capabilities) approaches are common and it is expected to remain this way for some time. 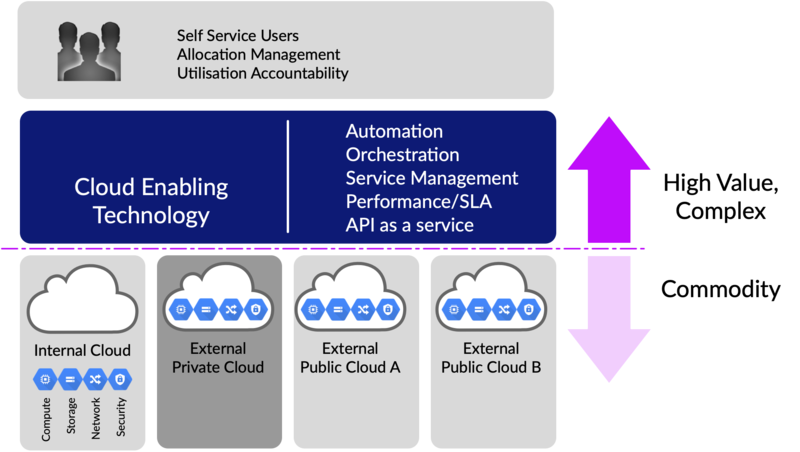 In using this hybrid approach, the mechanisms delivering cloud (automation) are also applied to traditional infrastructure so that operational and performance benefits afforded by the cloud technologies can be leveraged for existing assets. However this shift to cloud is not without its complexities. The deployment and operational challenges – due to its very different and inherent highly automated nature – introduce many difficulties for people, processes and technology during the transition. Difficulties that are, in the majority of cases, underestimated. Cloud infrastructure is highly automated by design and it is how its value is derived. As such, cloud requires new systems and tooling to provide the necessary controls, governance and management for the organisation to manage it. In the past there was value in manually running and managing IT Infrastructure but with the advent of new automated capabilities, systems and tooling the value has now moved upstream as depicted. In doing so, it has also generated a new functional domain, known as Cloud Enabling Technologies (CET) which is where Platform9 lives. The diagram also illustrates that in many organisations there is more than one cloud domain. In most there will be at least two, likely more. As such, a success-critical service category known as Cloud Enabling Technology (CET) has emerged to allow business to manage the various cloud domains (Internal, Hybrid, Cloud and Multi-Cloud) under a single umbrella of control, management and governance. Additional complexity that must also be managed by CET is the rapidly expanding services being offered by both external cloud providers and the purveyors of technology used in internal cloud. Some exemplars are indicated here, but in reality cloud providers now typically offer thousands of discrete product and service line items. Implementing and managing all of the automated services offered is in fact complex, and many organisations struggle with the broad and intense set of challenges involved. 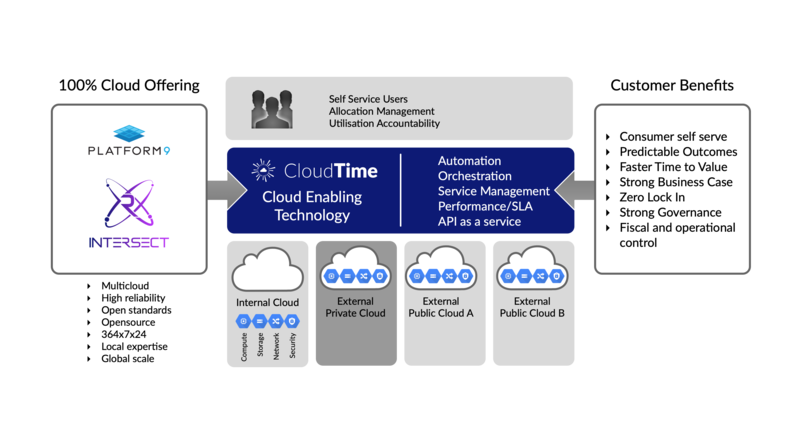 Operate multiple cloud models using open technology, resulting in better commercial leverage, more choice and flexibility. Simplify application deployment and dependencies and make failover and elasticity possible, agnostic to underlying cloud. Embrace service-oriented-architecture to unlock greater value from compute expenses by paying only for execution time, rather than idle time, without the need to dedicate and tie up resources. Platform9’s technology stack – Openstack, Kubernetes and Fission – is state of the art and runs some of the largest workloads at global scale. PF9 currently represents the only vendor-independent, cloud-independent control plane that can harness Amazon Web Services, Microsoft Azure, Dell VMware, Google Cloud Platform, and on- or off- premise bare-metal compute to deliver a simple, scalable and performant solution. At its core, Platform9 is a multi-tenanted software platform; in this case, a combination of popular and widely deployed open source software wrappered with a common user and management interface layer. It dramatically improves user ability to manage the multiple software elements involved (Openstack, Kubernetes and Fission) via a single unified interface. Platform9 also provides a set of managed 100% Openstack APIs that not only connect to the various customer devices (compute, storage and network devices) but orchestrate and unify public clouds too. By providing a hosted service offering, Platform9 removes all of the technical management burden and associated cost overheads found with the normal installation, deployment and ongoing management of the complex software ‘stacks’ involved. Commercially and technically, Platform 9 is structured the same as many other successful Software as a Service (SaaS) companies. It offers a set of software services delivered over the internet and charged on a subscription service with annual annuities. Platform9 offers services via a monthly fee, billed annually and most commonly placed on a 3 year contract term. The sizing of the contract fees are directly related to the number of CPUs and GPUs being managed by the platform.